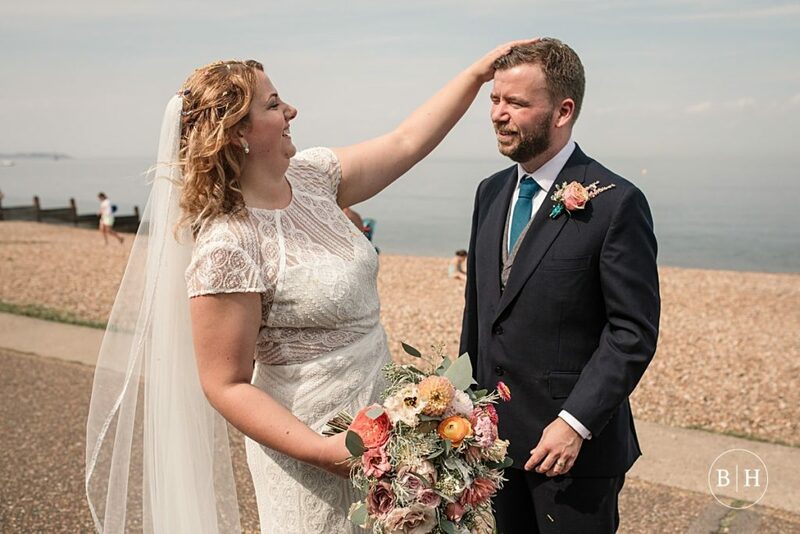 It’s one of the defining shots of any wedding. It’s also one of my absolute favourite things to photograph on any wedding day. The confetti shot! 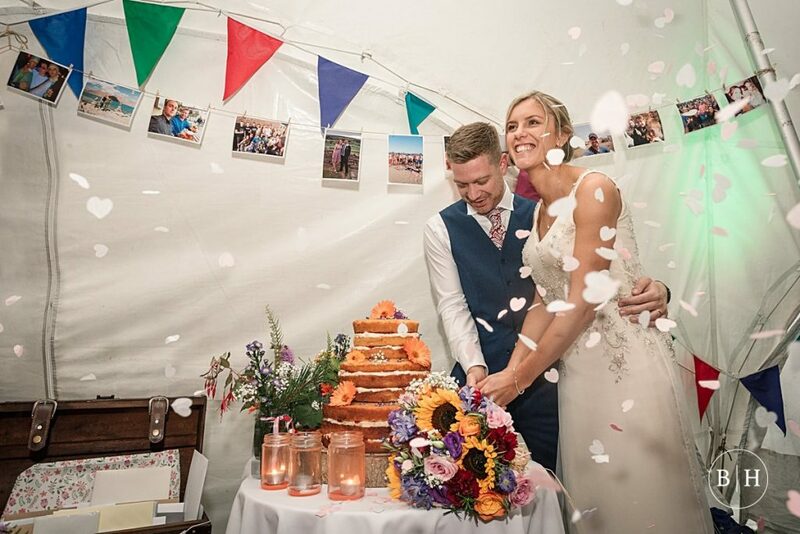 It sounds silly but there’s just something so ‘weddingy’ about confetti – it’s a moment that you won’t find happening anywhere else. 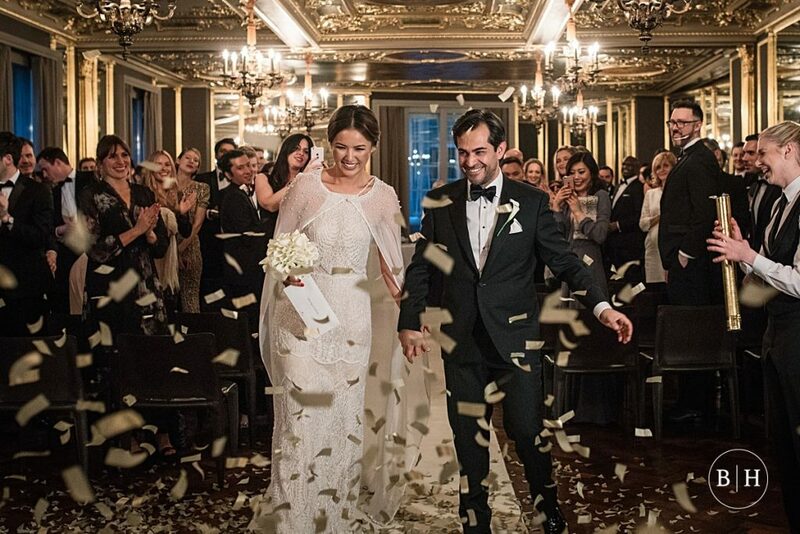 It’s so full of happiness, joy and celebration as you emerge for the first time as the new Mr and Mrs. 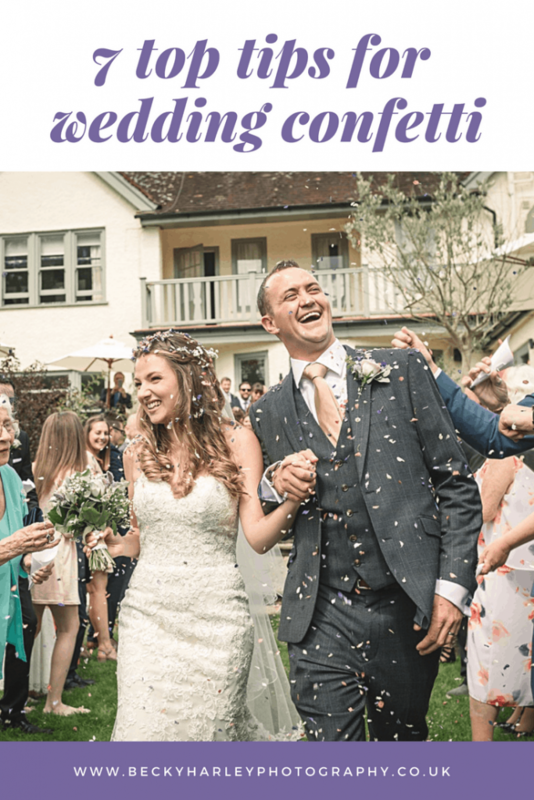 I thought I’d put together some top tips for wedding confetti – from planning, to shopping, to photos! I hope this helps you with your planning, and helps you to nail that epic shot that you can frame and enjoy for years to come! 1. Should I even have confetti, I’m not sure? 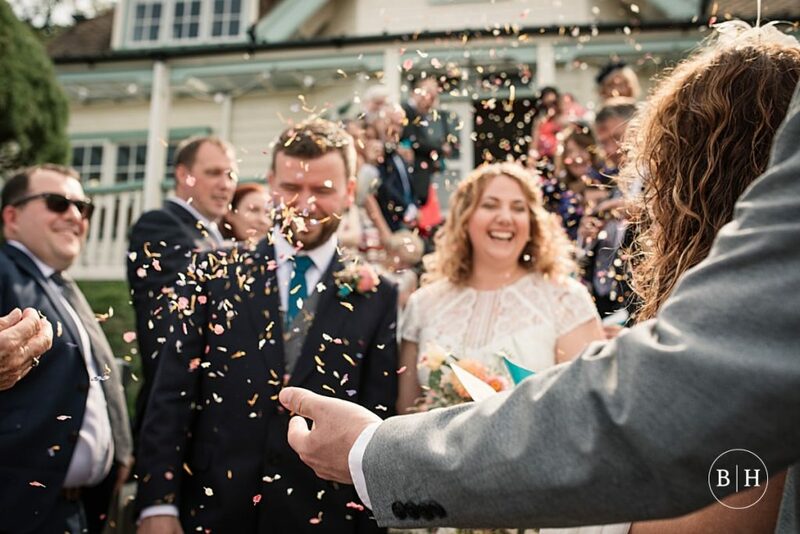 Checking that your church or venue allow you to have confetti thrown is an absolute must. You don’t want to invest in confetti only to find that you’re not allowed to throw it! As mentioned above, some venues will restrict confetti strictly to only the biodegradable sort, so no glitter or plastic sequins for example. 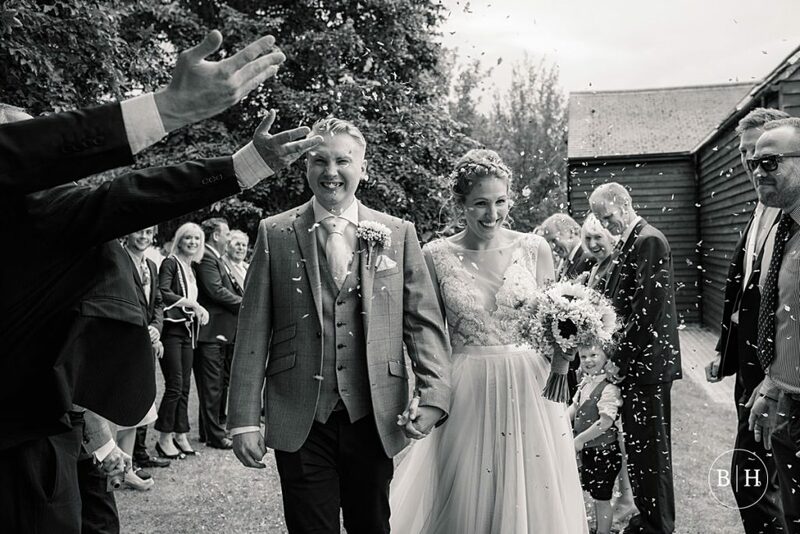 Whilst I don’t like to direct or stage anything on your wedding day, this is one moment where I will suggest ways to help you achieve the best photos possible. 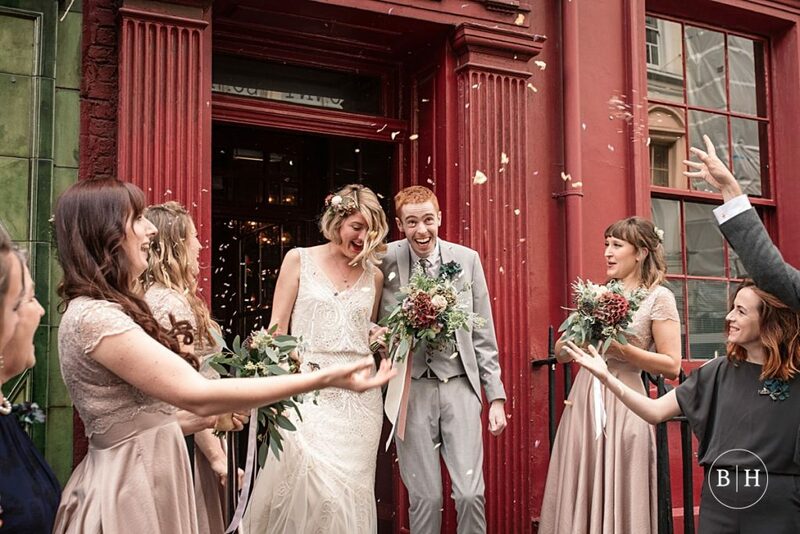 I prefer not to stage a moment where your guests just gather around and pelt you with flowers, but to weave the confetti moment more seamlessly into the day. 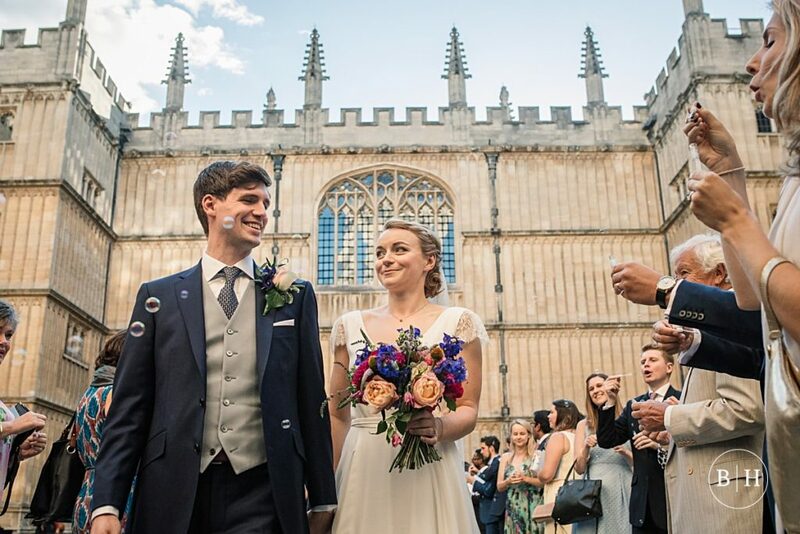 After the ceremony, if all your guests just follow you out, it can be a bit of an anti-climax. 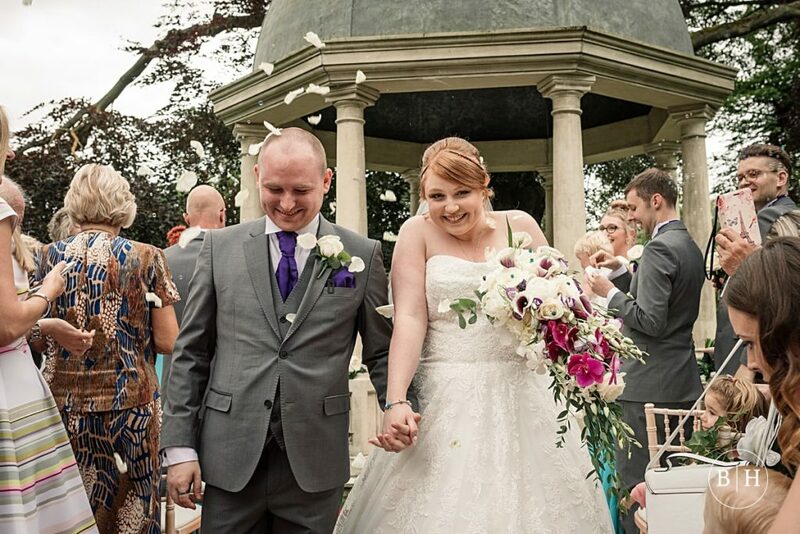 I suggest hiding out for five minutes somewhere, to take in the fact you’ve just got married (eeek!) together – just the two of you. 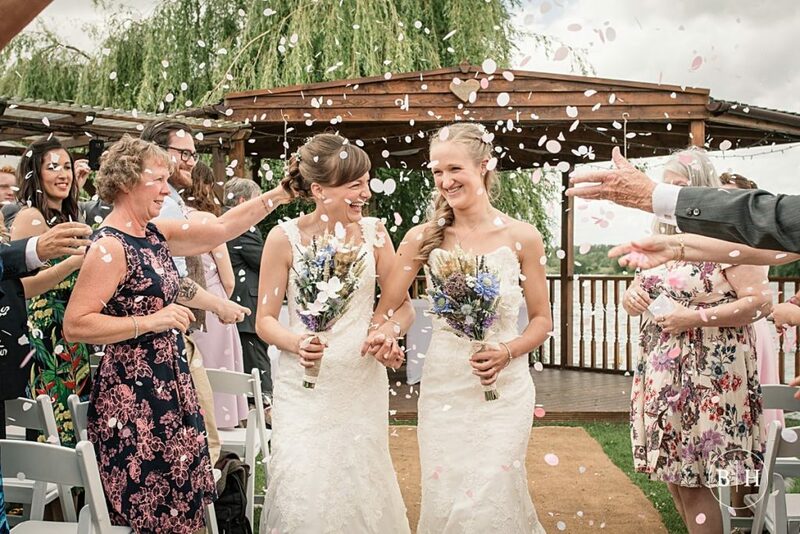 While you’re enjoying a moment, have your bridesmaids and ushers on hand to dish out the confetti. 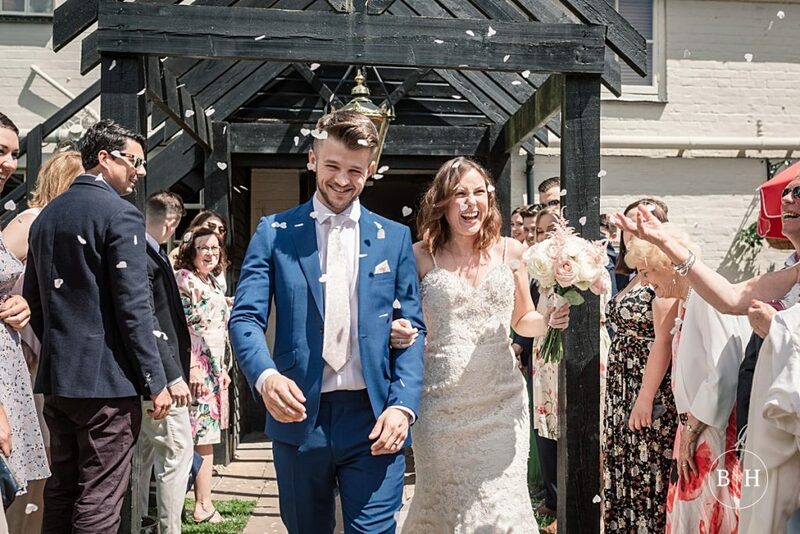 I line up your guests, armed with confetti, and you create an epic moment of celebration as you make your exit through a confetti tunnel to cheers and whoops from your friends and family! 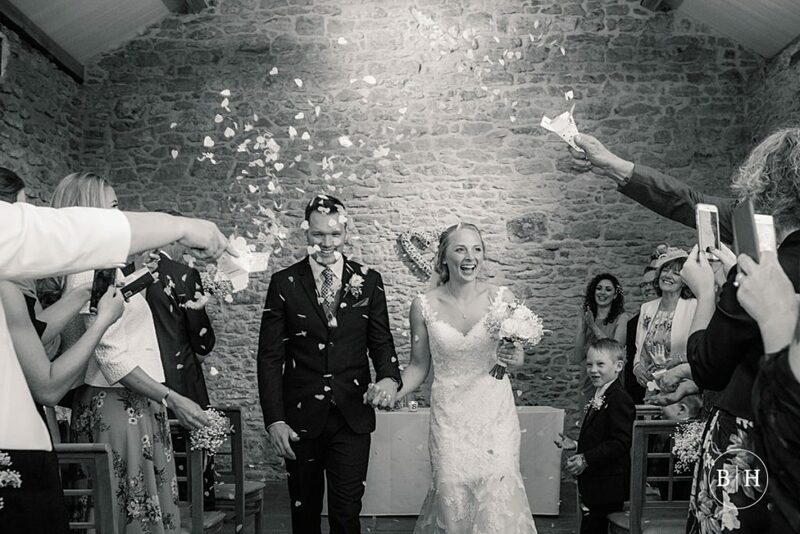 I always encourage guests to throw the confetti up in the air over you too, rather than directly in your faces! 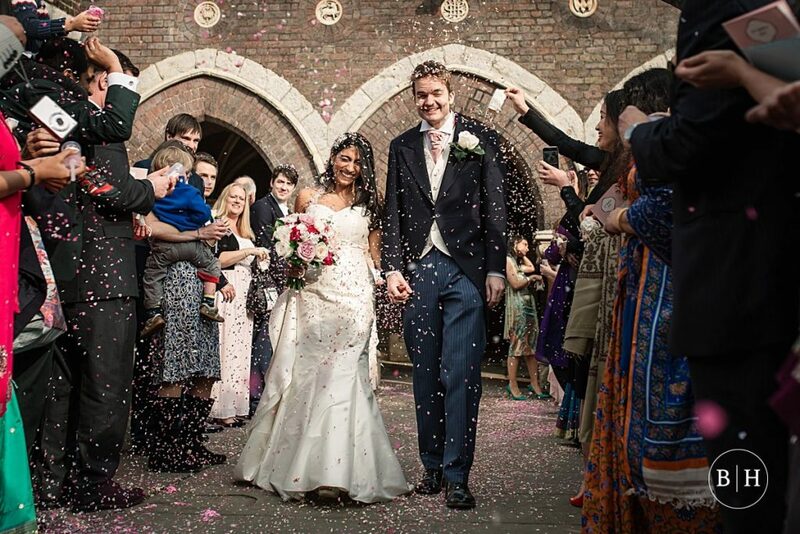 One key top tip for wedding confetti is to think carefully about the type you buy, and from where. Everyone is more aware of the impact of plastics on the environment these days, and it’s important to make sure that your confetti is fully biodegradable. You don’t want to have lots of tiny bits of glitter or plastic sitting around for years, clogging up drains, being eaten by animals or being washed down the drain and ending up in the sea. When buying confetti for your wedding, ensure it’s full biodegradable. 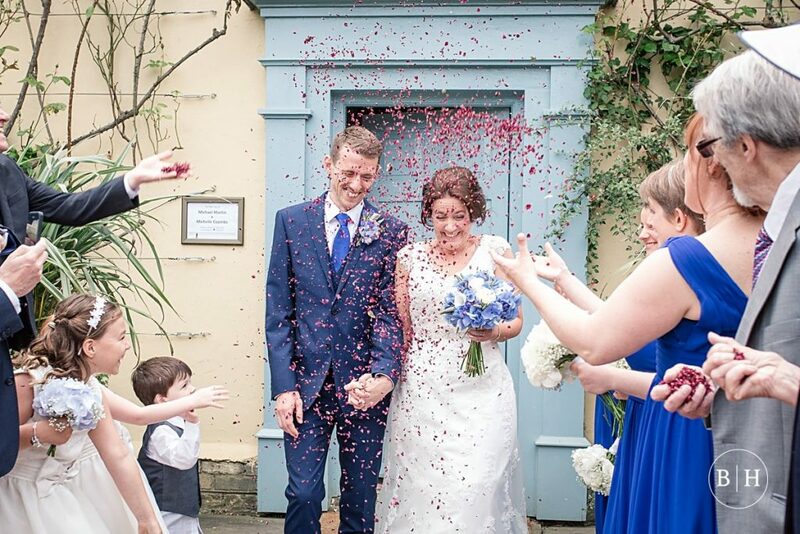 Natural petal confetti is a great idea – it floats well and looks so pretty! You should also beware of dyed confetti. 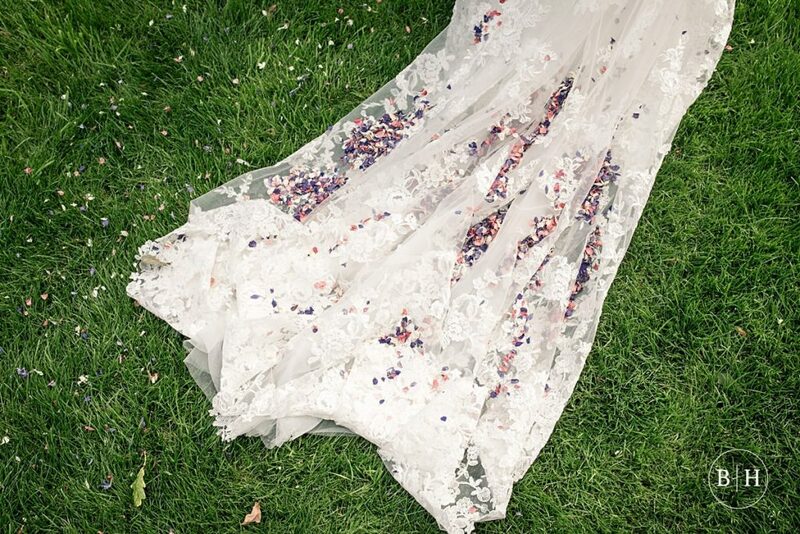 If it rains, confetti which has been dyed artificially can bleed and stain your dress, which is a big no-no. 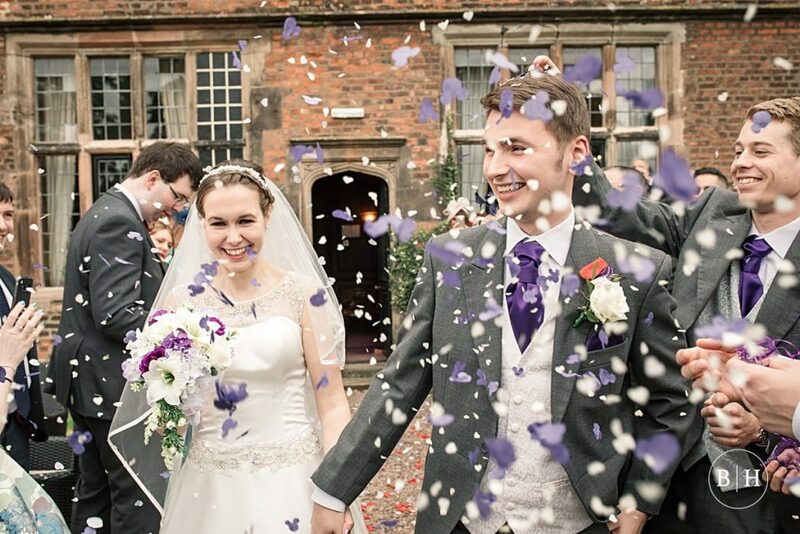 I always recommend the lovely Shropshire Petals for purchasing natural petal confetti. You can personalise your confetti mix, to ensure it matches your colour scheme perfectly. 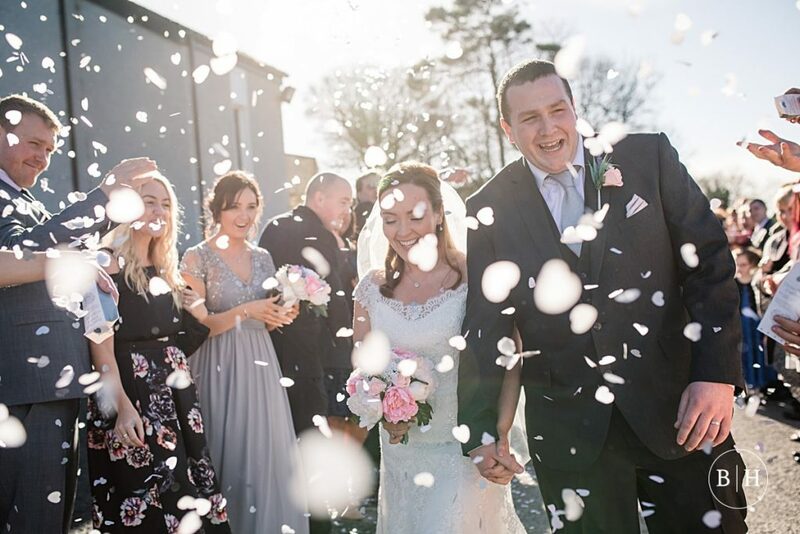 Tissue paper confetti also works really well, as it falls and flutters slowly to the ground, giving a gorgeous effect. 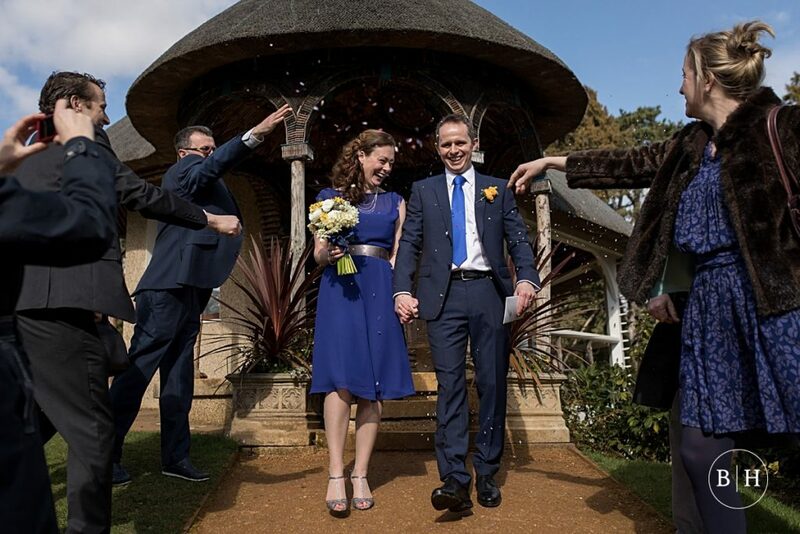 Some couples have hand made their own confetti in the past, from tissue paper in special shapes, or punched out from maps or pages of books. Be aware that this is a lot of work and will take longer than you think! Whatever you do, just make sure it’s fully biodegradable! 5. Venue won’t allow it? Consider alternatives. 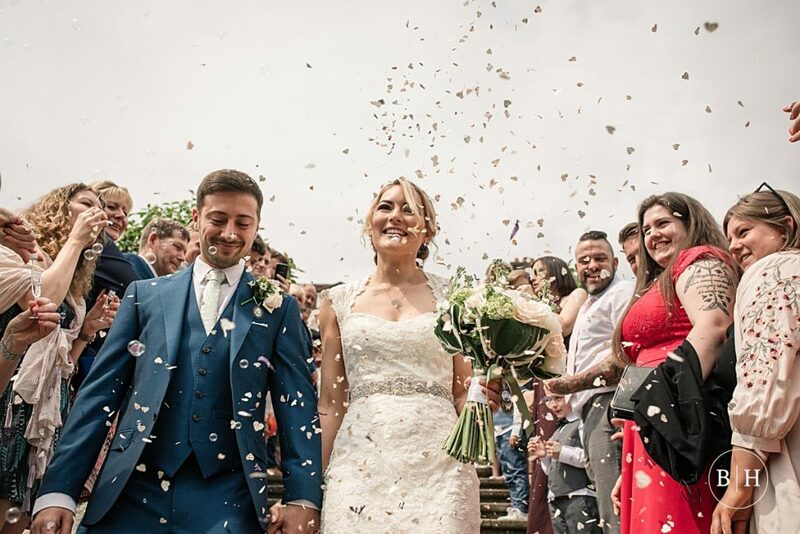 If your venue still won’t budge, even at the mention of biodegradable confetti, there are lots of alternatives available. 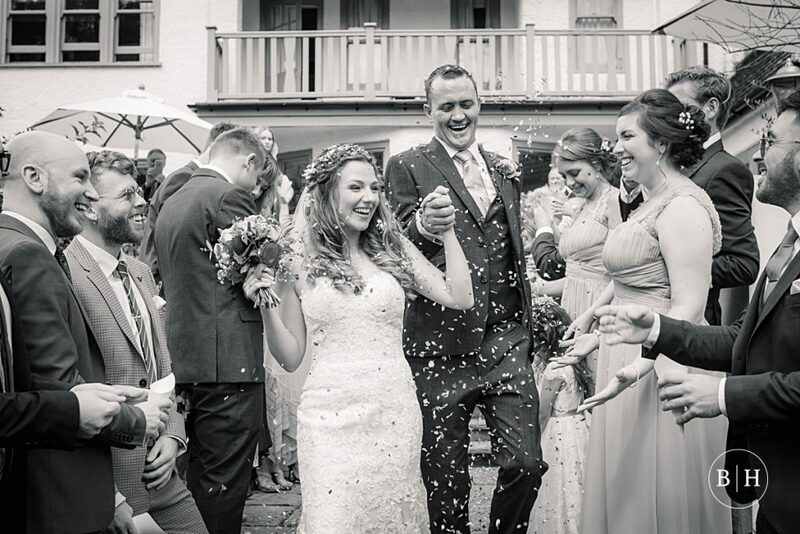 Bubble confetti is really popular (I’d recommend investing in a bubble machine! ), but how about pom-pom confetti or paper aeroplane confetti? These are just some of the alternative tips for wedding confetti that I’ve heard of in the past. There are so many ways of making this moment epic and as individual as you are. 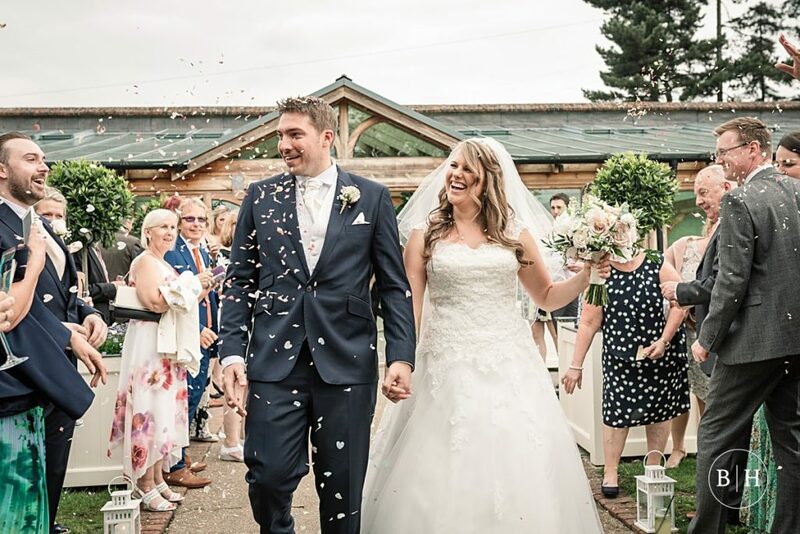 The larger the item, the quicker and easier the clear up, especially if you designate bridesmaids or ushers to help with this, which might appease your venue. Just make sure it’s nothing heavy that will knock you out!! 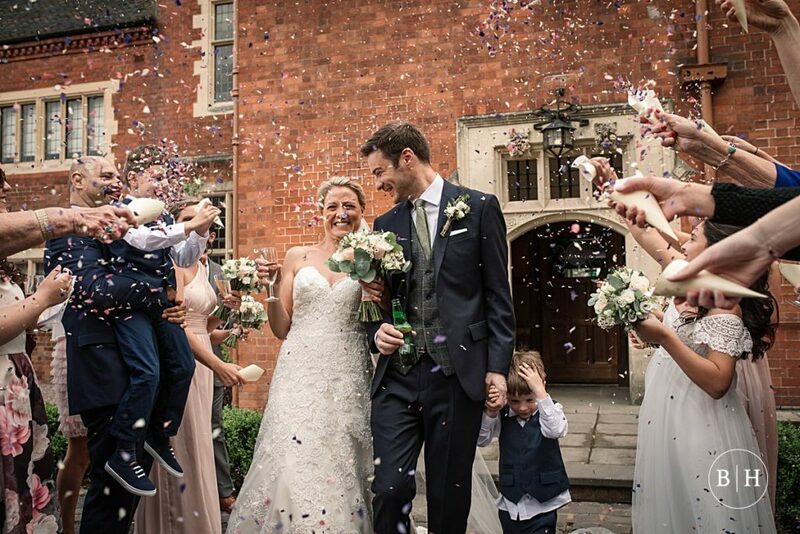 Another top tip for wedding confetti is to make sure you stock up on PLENTY of confetti when you’re shopping. You want to ensure that all your guests have a good amount to lob at you! It’s definitely worth buying lots, particularly if you have a lot of guests. You want everyone to have one large handful each (at least!). If you buy too much, you can always use it to scatter on the tables in your reception as a last minute addition to the table décor. Ask bridesmaids or your venue to do this for you with anything that might be left over. 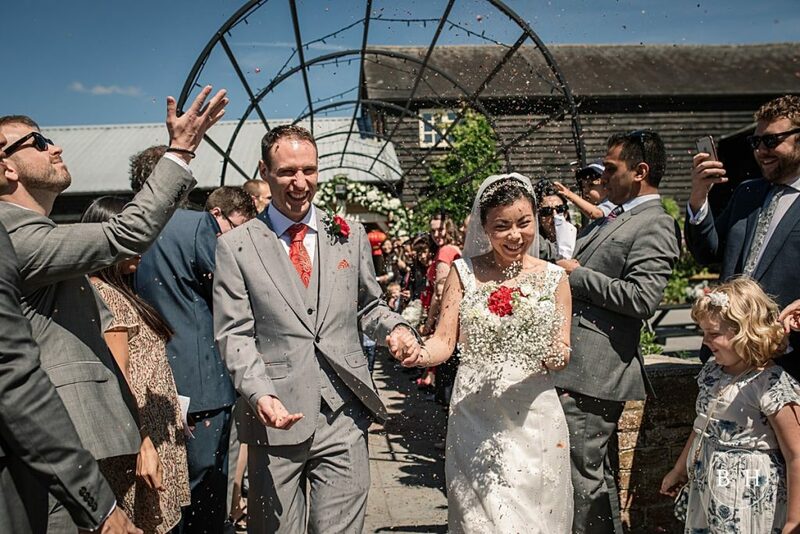 I always tell my couples to look around and enjoy the moment as they make their confetti exit. You don’t want to be looking down at the ground, or directly at your photographer. Look around, look at each other and take in the moment! Perhaps stop and have a kiss half way down the line. Try not to walk too fast either, if you race down the line, your guests might miss you! 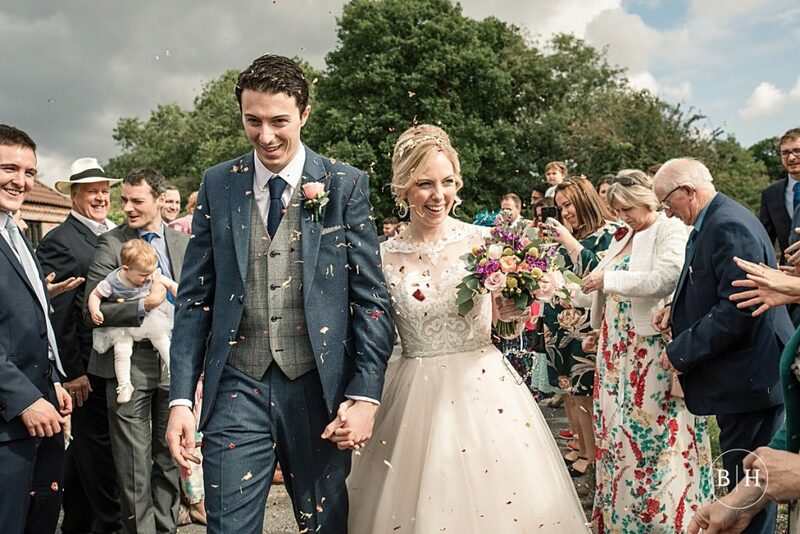 I hope you’ve found my top tips for wedding confetti helpful! You can see more hints and tips articles on my blog here, with lots more advice! 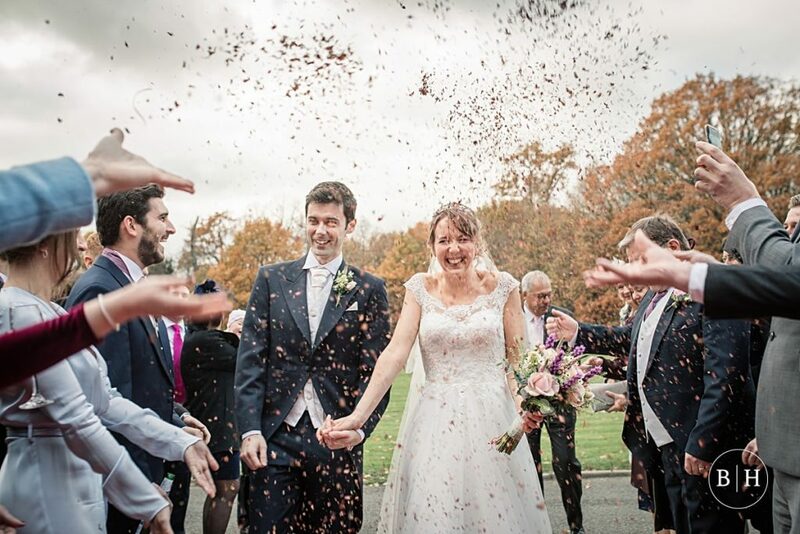 If you’re planning your wedding and want to make sure you get an epic confetti photo, I’d love to hear from you! Drop me a line here with info on your awesome plans.